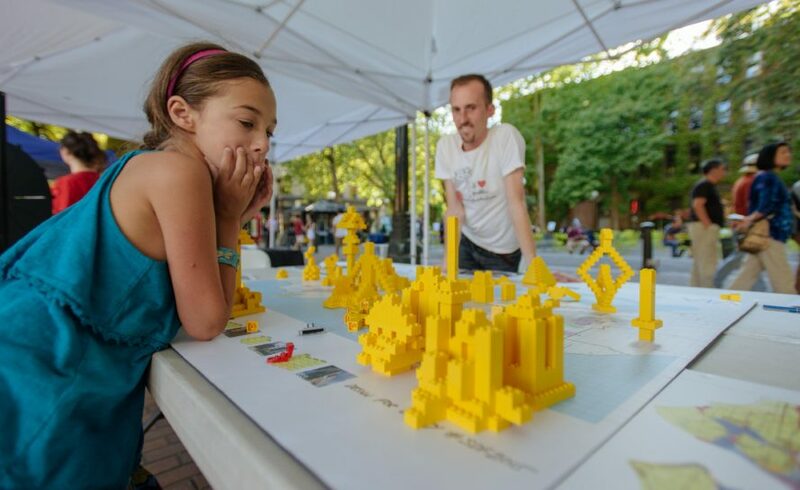 Every September, the Seattle Design Festival (SDF) brings together designers, community members, experts, and city officials to celebrate and explore how design improves the quality of our lives and our community. Every year the Festival grows, and it is now the largest design-related event in the Pacific Northwest. SDF 2018’s theme, will explore how we design for TRUST. TRUST is a foundational principle of a thriving society. Relationships and systems built on trust enable the exchange of commerce and innovation, provide safety and dignity to all, and encourage vigorous civic participation. We trust our systems and institutions to be consistent, transparent, and strong. We trust that the news we hear is accurate and unbiased; that the schools, bridges, and buildings we use everyday are sound; and that our leaders make decisions based on the best interests of our entire community. We need to trust each other. Check the Design in Public website for information about the Call For Proposals – due May 7. Community Programs: citywide tours, lectures, exhibits, youth & family workshops, film screenings, charrettes, and more! To see images from this year and past Festivals, visit our SDF Flickr page. To see the full Closing Party photobooth reel, visit the Seattle Design Nerds Snapbox. More info can be found on the Design in Public website. See you at this year’s festival!